“Dwelleth”, in the Hebrew tongue is ‘YASHA’ meaning ‘marrying’ or ‘to marry’. It shows the relationship between Christ and the Bride. “I am married unto you,” says the Lord (Jer 3:14). The relationship between a husband and a wife is the most intimate of relationships. The next most intimate relationship is that of a mother and a child. Both these relationships are mentioned in the 1st verse of Psalm 91. [‘Almighty’ is ‘El-shaddai’ which, in Hebrew is ‘mother-like God’]. The Lord wants to have a very close relationship with us. All the promises mentioned in Psalm 91 are for those who have an intimate relationship with the Lord. Those who live in the heart of God will have the closest relationship with God. 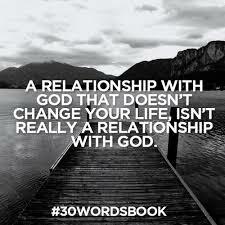 But we must have this relationship with God while on earth itself. When we live in the heart of Go, our heart will become like the heart of God. What does that mean? Our heart will be full of peace, joy, love, grace, purity, humility, forgiveness, etc. If you are in the heart of God, God’s heartbeat will be your heartbeat. You will want to think only what God puts in your mind. You will desire only what God puts in your heart.